QPL and The Image Group’s creative design team will enable you to create a Direct Mail program that grabs the reader’s attention and lets your Direct Mail piece stand out from the rest. The decision to read Direct Mail pieces or discard them is made almost instantly. By using our premier design services to create attractive full-color collateral materials, you can ensure your company's literature get the readership you’re aiming for. 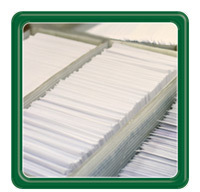 We print a variety of products that are used for Direct Mail including, brochures, letter, newsletters, catalogs, postcards, self-mailers, and business reply cards - or anything else that you need to put into the mail. QPL and The Image Group offers our customers a full, turnkey service providing a fast, affordable, and convenient way to create and execute a direct mail marketing campaign from concept, to printing, to obtaining the list and mailing. We have Our Direct Mail marketing service gives our customers a substantial savings in both time and expense by bringing the design, printing and mailing processes together in one convenient location.